Robert Penn Warren's All the King's Men. Published in 1946, winner of the Pulitzer Prize in '47, classic American novel, Important Book. So famous, and required reading for so many students, that you can get lots of information from Sparknotes and Gradesaver. However summaries miss the point - it isn't just plot, it is the language of this novel that is significant. Carlisle Floyd wrote an Opera, Willie Stark, based on the novel. But read the book. If you had to read it as a high school student, reread it with adult experience and adult sensibilities. We have several copies. The census bureau projected that by 2050 about 50% of the US population will be white, and about 50% "other" (Not only African American and Asian, but every imaginable sort of mix). In Takoma Park we have already many, many families with all sorts of combinations. 305.8 NAKAZAW Does anybody else look like me? 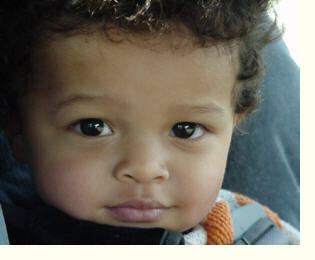 : a parent's guide to raising multiracial children. Donna Jackson Nakazawa. 155.82 WRIGHT I'm chocolate, you're vanilla : raising healthy Black and biracial children in a race-conscious world. Marguerite A. Wright. 973.049 WALKER Black, white, and Jewish : autobiography of a shifting self. Rebecca Walker. 973.049 MCCRAY Freedom's child : the life of a Confederate general's Black daughter. Carrie Allen McCray. 305.896 WILLIAM Life on the color line : the true story of a white boy who discovered he was black. Gregory Howard Williams. After rejecting them for months because of our storage problems, we now seek donations of clean used books of general interest. The Friends of the Takoma Park Maryland Library plan to have a book sale December 9th and the book sales are very important to use because they fund our special programs. Example: our once/month, Saturday, Spanish story hour for children. We really want your books. Thanks. A number of local book groups have been reading and discussing books together for years. And years. The book list from one such group follows, and we would welcome others as we would like to post them here. And a reminder - the library itself sponsors a book group which meets approximately once a month. Everyone is welcome and there is no fixed membership.